Earlier this week, Indian defence scientists had successfully tested guided a Pinaka rocket, a weapon system designed to conduct precise strikes at distances of up to 90 kilometres. 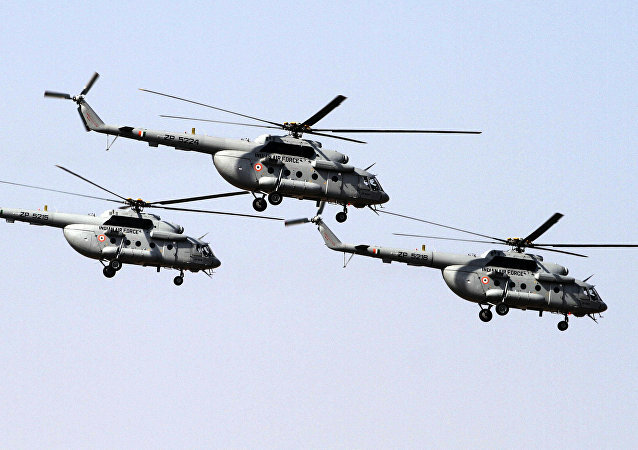 Metaphorically named Nag (meaning cobra), it can be launched from both land and air-based platforms. The strike range of the weapon is 4 km and 7 km respectively. 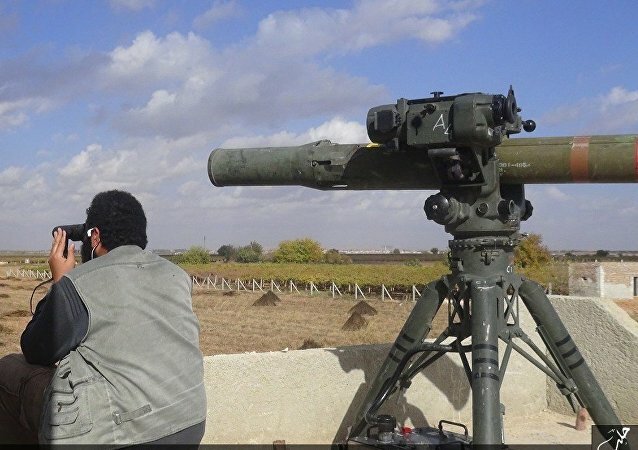 DERAA (Sputnik) - Russian soldiers have discovered a hidden store with anti-tank weapons that was apparently abandoned by militants in Syria's Deraa province, representative of the Russian Armed Forces Valery Shkolnik said on Tuesday. The successful tests of the man-portable anti-tank guided missile (MPATGM), developed by state-run DRDO, come less than a year after the Indian government scrapped a $500 million deal for the Israeli Spike-MR. 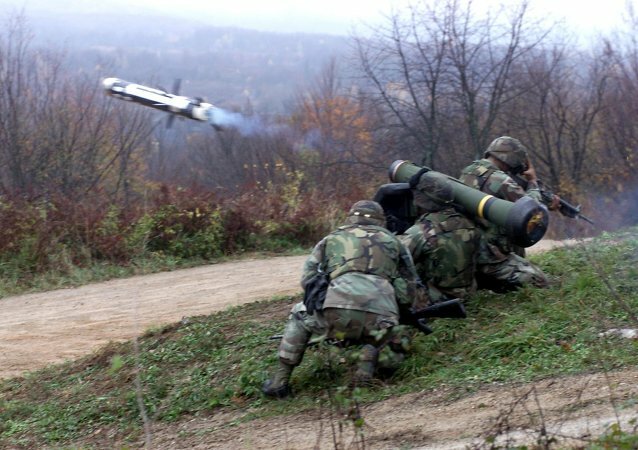 The US State Department decided to approve the sale of hundreds of Javelin anti-tank missiles and missile launch units to the Ukrainian government on Thursday, according to an announcement from the Pentagon's arms exporting agency. 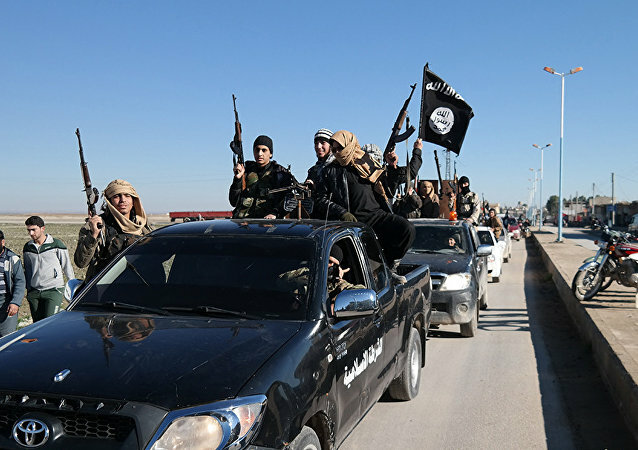 The acquisition of an anti-tank weapon by Daesh exposes the fact the CIA knowingly took great risks to arm extremists in a desperate bid to oust Syrian President Bashar Assad, analysts told Sputnik. The US military will be installing the Israeli-built Trophy Active Protection System (APS) meant to intercept and destroy incoming missiles or rockets on their M1A2 Abrams tanks. This will make the US military the only other besides the Israel Defense Forces (IDF) to use the defensive system. Chinese drone-maker Tengoen unveiled a new series of armed reconnaissance unmanned aerial vehicles (UAVs) at the 14th China-ASEAN Expo in Nanning, Guangxi Province, China. India has successfully tested their domestically produced “Nag” anti-tank guided missile (ATGM,) reports the Indian Ministry of Defense (MoD.) 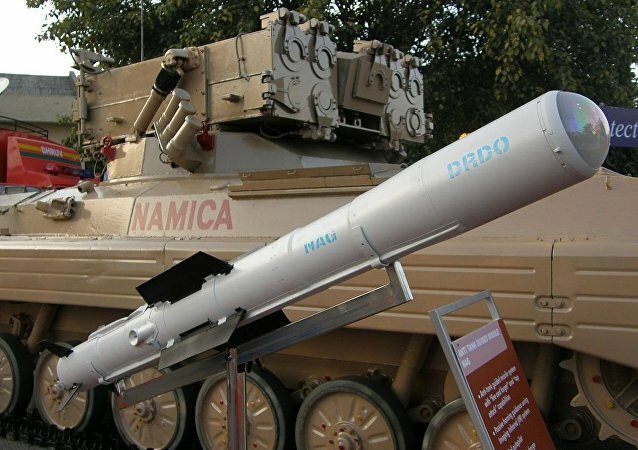 The Nag is meant to eventually replace foreign-made missiles to become the Indian military’s first and primary anti-tank weapon. US-aligned Kurdish fighters in Syria have released several videos of their destruction of a Turkish military vehicle with a guided anti-tank missile during a skirmish between the rival militaries. The Wall Street Journal has reported that the Pentagon and the US State Department have come up with a plan to supply Ukraine with deadly weapons, and that this plan is now awaiting White House approval. Speaking to Sputnik, Ukrainian political scientist Ivan Mezyuho warned that Kiev could use such weapons far beyond the war-torn Donbass region. A source in the Syrian military has specified that a stringer working for RT Arabic broadcaster had died as result of an Daesh anti-tank missile attack. A military parade involving armored vehicles and aircraft was held on Saturday in Athens in celebration of the Greek Independence Day. Polish ex-foreign and defense minister Radoslaw Sikorski thinks the Minsk-negotiated peace plan for eastern Ukraine has failed. Accordingly, he's calling on Poland (and presumably other NATO countries) to supply Kiev with advanced lethal weapons, including anti-tank and anti-aircraft missiles. Airbus wants to turn its military cargo aircraft C-295 into full-fledged combat jet by arming it with laser-guided missiles, laser-guided anti-tank missiles and laser-guided bombs. 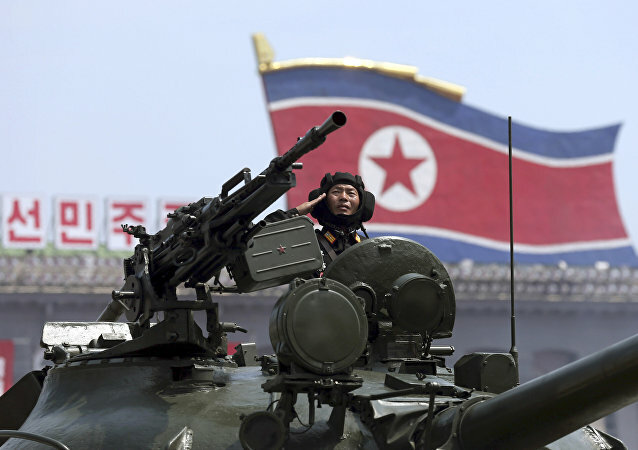 Tensions on the Korean peninsula escalated to new highs this week, with the US and South Korea carrying out massive military drills, and North Korea test-firing missiles and threatening more nuclear tests. With tensions now threatening to spark open war, military analyst Konstantin Sivkov warns that if war did break out, both sides would lose.